The Continuum Broadcast Safe filter provides an easy and automated way to ensure that all of your projects are color and luma safe for delivery to any broadcast market. 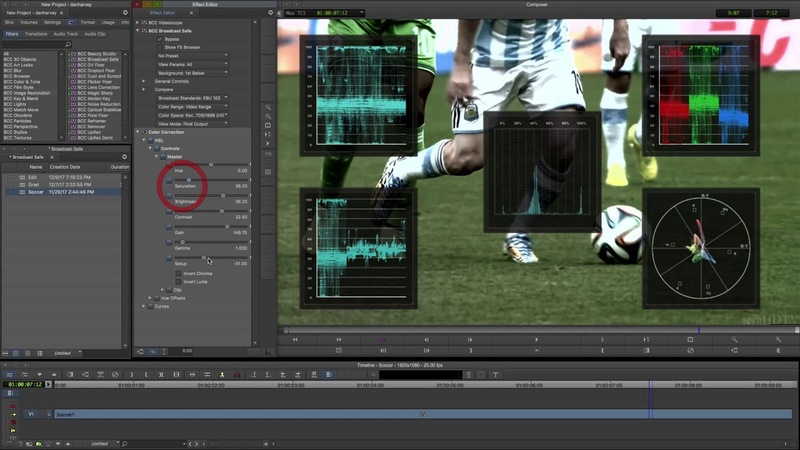 Simply apply the filter at the top level of your sequence or comp, select the preset that corresponds with the broadcast standard that you require and render. It really is as easy as that. 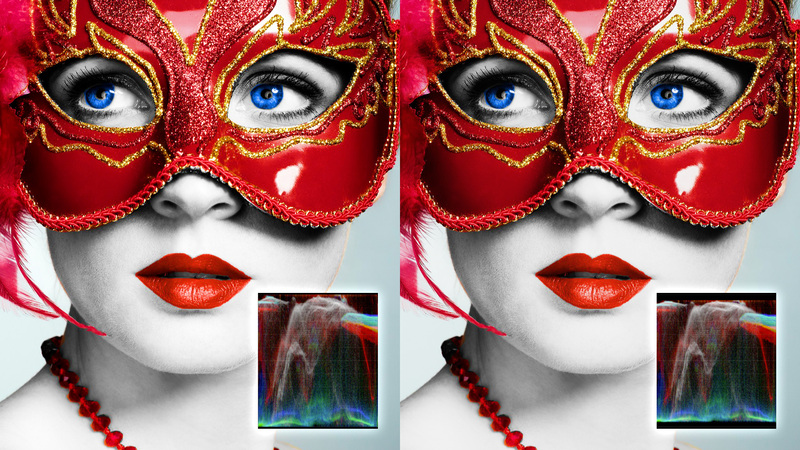 The integrated Compare Mode provides a convenient mechanism with which to compare the effect result with the original source layer. It provides several variations on basic split-screen views with the filtered clip placed next to the unedited original. When in wipe mode, a user adjustable on-screen wipe bar can be moved across the source shot, displaying the unfiltered source on the left and the filtered result on the right. 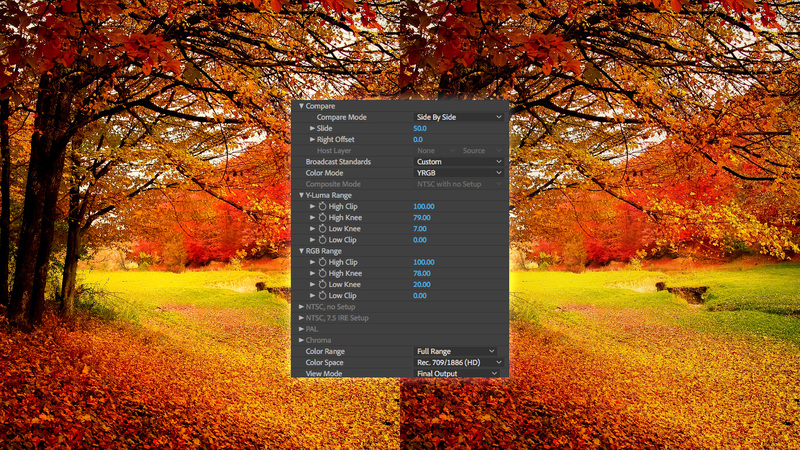 In side-by-side mode the screen is split with the original source displayed on the left and the filtered result on the right. The image can be repositioned in the split panel giving you complete access to view any region of the source and the filtered result in the viewer. The Broadcast Safe filter comes with a complete set of factory installed presets that legalize source clips or entire program timeline sequences to ensure legalized output that conforms to any broadcast standard. It’s so easy to use that the only input required by the user, apart from applying the filter, is to select the desired broadcast standard from a pop-up menu at the top of the filter. 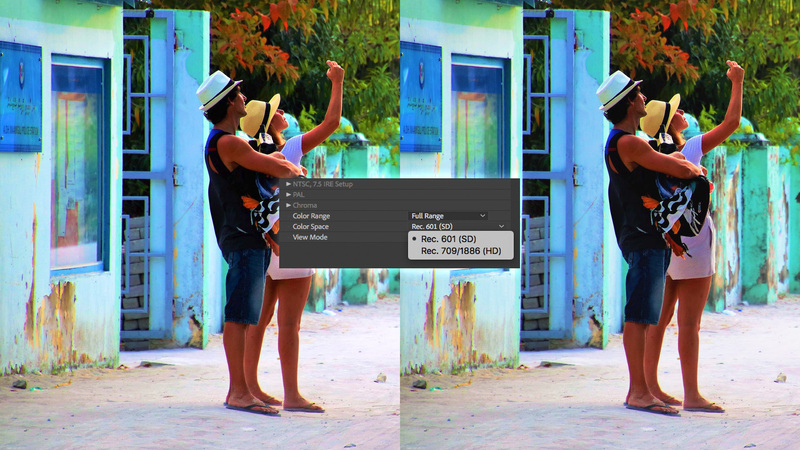 Once the preset has been selected, the filter automatically ensures legalized output. 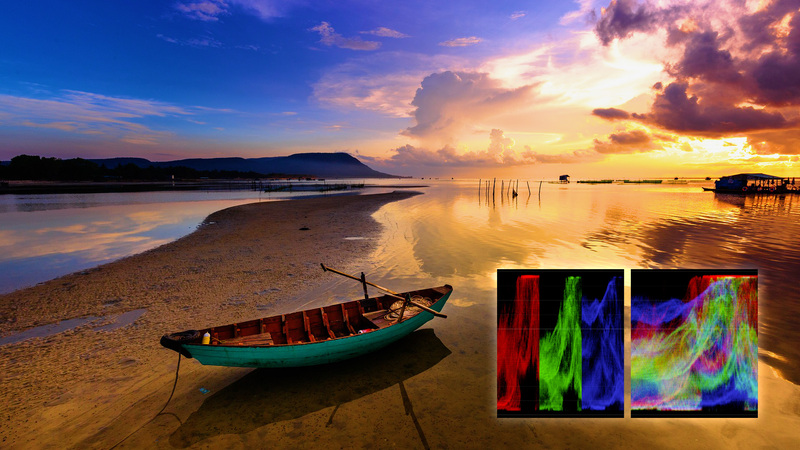 For times when a non-standard broadcast legalization is required, the filter can be put into Custom mode, whereby users can create their own customized broadcast standards using a suite of in-depth controls to set the desired color range, color space, knee and clip. Need to share this data across the facility or with other editors who may be finishing outside of your network? No problem, the preset data can be shared across supported platforms and hosts, and are only a few k in size and are easily shared via email. Included in the Broadcast Safe filter are color range options so whether your output requirements are the full 0-100 range or the 16-235 video legal range, the Broadcast Safe filter has you covered. Simply select the desired range from the Color Range pop-up and you’re good to go. Although most media these days is prepared for Rec. 709 (HD) output, with the flip of a switch the Broadcast Safe filter is capable of legalizing for Rec. 601 (SD) output. So in cases where you need to deliver legalized output for both HD and SD, the Broadcast Safe legalizer is equipped to handle this with the flip of a switch. 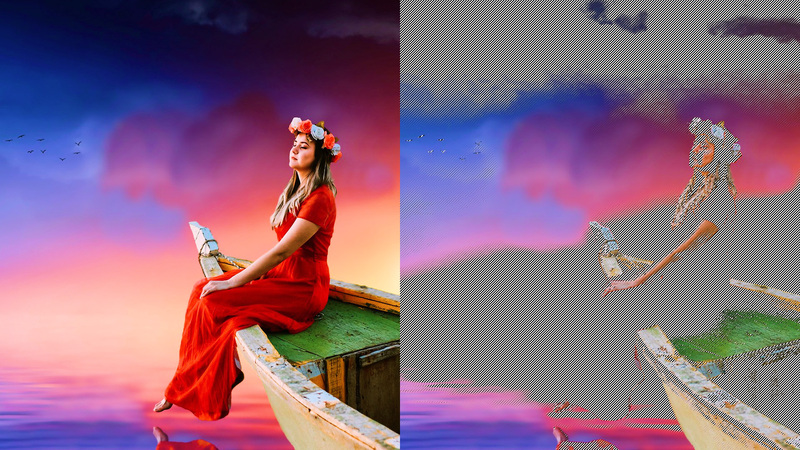 While it’s great that the filter will generate a legal output from any source, it’s often helpful to know what parts of the shot are being changed. For instance, in scenes where a client logo is in the picture, it is helpful to know whether the colors being used are being subject to a change from the legalizer. 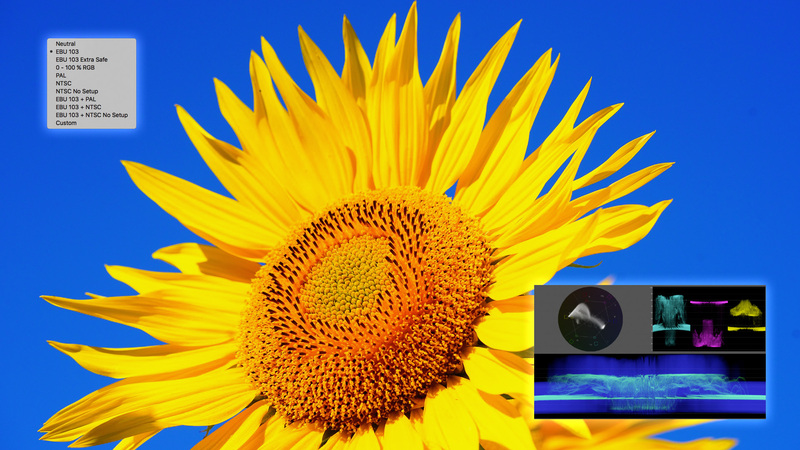 Broadcast Safe includes both a clipped pixels and a zebra pattern option to highlight parts of the image that are being altered. In this image you can see that regions in the source that were deemed by the selected preset to be outside of legal range are identified to the user with an overlaid zebra pattern. Imperfect footage happens. 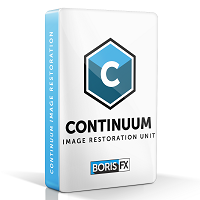 Instantly fix flickering footage, reduce noise, remove damaged pixels, and more with the Continuum Image Restoration Unit. 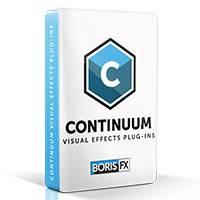 Continuum is a set of over 230 image processing, keying, compositing and titling filters including the unique PixelChooser matte and masking system with Mocha planar tracking designed to serve the needs to editors and compositors alike. The Broadcast Safe filter is included in Continuum.